Today, Oceania Cruises unveiled its 2014 Summer Collection detailing 90 voyages, 10 new ports of call, an almost entirely new line-up of European itineraries and the highly anticipated return of Insignia. The line’s five ships – Riviera, Marina, Regatta, Insignia and Nautica – will sail to more than 180 destinations throughout the world. 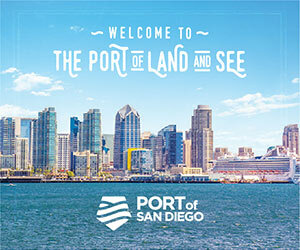 The 2014 cruise collection features 70 European cruises, 93 percent of which are new itineraries, plus 10 Alaska voyages, seven all-new Canada/New England cruises and three Panama Canal voyages. All summer voyages feature two-for-one cruise fares and free airfare with additional bonus savings of up to $3,500 per stateroom if booked by August 31, 2013. Bookings for the 2014 Summer Collection made by May 31, 2013, also offer the added value of free pre-paid gratuities. 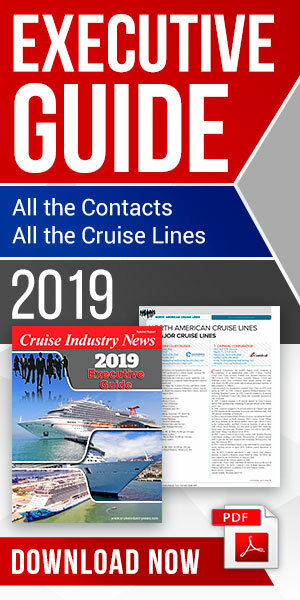 “Bookings open today, and we are encouraging travelers to act quickly to secure the suite or stateroom of their choice and receive the added value of complimentary pre-paid gratuities on every sailing for those who book by May 31, 2013,” Kamlani added. Oceania Cruises’ newest ship, Riviera, will spend the entire summer in the Mediterranean on a series of seven-, 10- and 14-day cruises, sailing from as far west as Barcelona and the French Riviera, through Italy and Greece, to as far east as the Black Sea. Riviera ends the season with a transoceanic voyage to Miami. Marina begins the European season in June 2014 with a series of cruises in Scandinavia, Russia and the British Isles, several of which feature the popular two-night stays in St. Petersburg. Marina spends the second half of the season in the Mediterranean, culminating with a transoceanic voyage from Lisbon to Rio de Janeiro. Beginning in May 2014, Nautica will sail the Western Mediterranean and then head north to Scandinavia, Russia and the British Isles. Featured itineraries include two back-to-back 20-day voyages: Viking Odyssey, which explores Greenland and Iceland as well as Scotland and Ireland, and Path of the Midnight Sun, which ventures as far north as the Polar Ice Barrier. After a two-year charter, Insignia returns to the fleet in May 2014 with cruises throughout the Mediterranean and three voyages that call on cities such as Bilbao, Lisbon and Bordeaux along the Atlantic coasts of Spain, Portugal and France. The season also features more visits to the Dalmatian Coast, including Insignia’s Adriatic Medley sailing, which stops in Albania, Montenegro, Croatia and Slovenia. New ports in Europe include Tirana (Durrës), Albania; Antibes, France; Hamburg (Bremerhaven), Germany; Chania (Crete), Kos and Syros, Greece; Ullapool, Scotland; Lysekil, Sweden; and Milford Haven, Wales. Regatta begins and ends the Alaska season with voyages through the Panama Canal. There are a total of 10 sailings in Alaska, including four new itineraries and several cruises sailing roundtrip from Seattle. Travelers also get a sneak peek at the winter season with the early release of the new 24-day Amazon Odyssey sailing, departing from Miami on November 4, 2014. Regatta and Insignia will offer seven autumn cruises along the Eastern Seaboard, the most in Oceania Cruises’ history. Voyages such as Capitals & Coastlines, 10-day sailings between New York and Montreal onboard Regatta and Insignia, will stop in some of the most beautiful places in New England and Canada, including new port of call Saguenay, Quebec, at the most stunning time of year.